The Coastal Cottage is a terraced ex-coastguard cottage in the Suffolk town of Kessingland. The Coastal Cottage sleeps 4 people, and is perfectly placed to spend time taking long walks along the coast. The Coastal Cottage sleeps 4 people in 2 bedrooms, with the bedrooms being made-up of one double (as seen in the photo below) and one twin bedroom. The Coastal Cottage has a living room with a TV, DVD player, wooden floors, and patio doors leading out into the garden. With the kitchen having an electric oven, microwave, fridge, dish washer and a washing machine. The cottage has gas central heating and Wi-Fi, with your towels and bed linen included in your holiday costs. You have an enclosed lawned garden with outdoor furniture and a barbeque. If you have a dog as part of the family, you'll be pleased to hear that The Coastal Cottage is pet friendly, which means you can all holiday on the Suffolk coast together - and take in some of the walks along the beach. What we particularly like about The Coastal Cottage is the location. You'll find The Coastal Cottage tucked away down a lane, only 5 minutes' from the beaches, shops and the "Sailors Home" pub. I was walking along Kessingland's promenade and took a few short videos of the beach here. As you'll be able to see, Kessingland Beach is a pebble affair, and is very large indeed. If you fancy walking along the beaches, head north to Lowestoft - which has a lovely sandy beach; or head south to famous Southwold. Of course, should you decide that walking along the beach is too much hard work you can always drive into either of these towns! Kessingland also boasts "Africa Alive" - a large walking safari park set in 100 acres. There is plenty more to see around Suffolk and Norfolk: Great Yarmouth is 30 minutes' away and has more seaside entertainment than you can shake a stick at. The Norfolk Broads are also a short drive, where you can hire a motor-cruiser for the day and see Norfolk from the water. 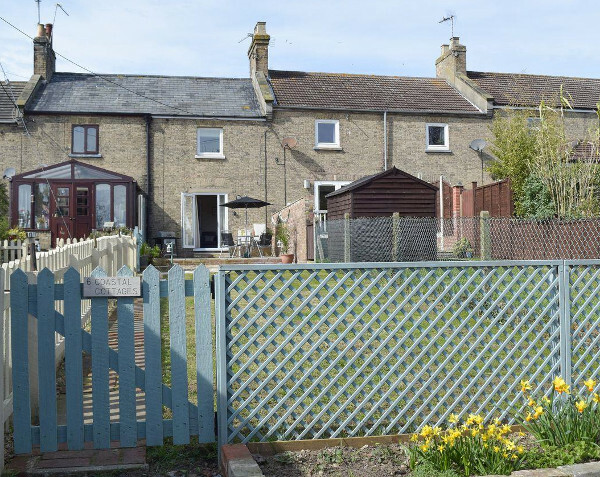 Should The Coastal Cottage not be to your liking, but you fancy staying in the area around Suffolk, you might well be interested in the cottages below. All these cottages are within a few miles of The Coastal Cottage.